Well this is my first paying job.!! It is a 12x12 cake and I would say a little over 4 inches tall.. Two layer, chocolate cake with chocolate filling. I used an edible pen to do the small writing in the middle. The design is from the arm patch that the McMinnville officers wear on their uniform. The patch itself is made out of fondant.. Had to use it.. I needed the smooth texture to get it to look like I wanted it to look. The # in the middle is his badge No. I love making cake pops. 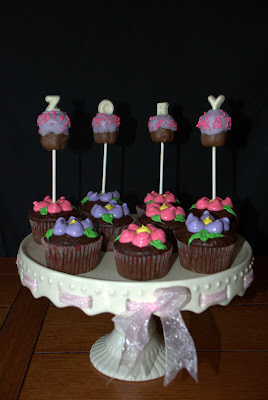 These were for our daughter Zoey's heavenly birthday on June 24th this year..
the put the cake pops in cream filled cupcakes.. which those I can make in my sleep. I just came across this cake I made for her actual birthday. It was my first fondant cake! It was actually a lot easier than I thought it would be. Too bad she was sick on her birthday.. we did not get to eat it for two days after her birthday. 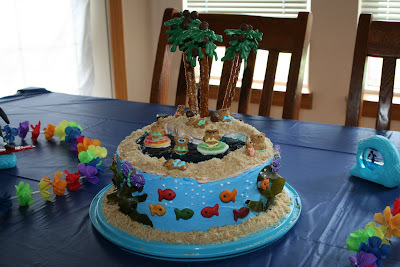 This is probably one of the first, really fun cakes I made... 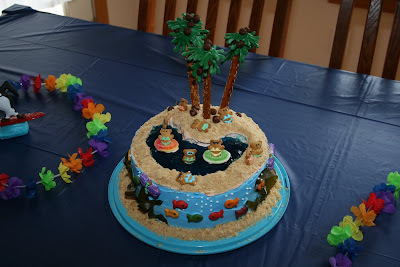 I loved making the little bears with swim suits on them.. Just everything on this cake came together well.. This was Kiara's first birthday cake.. I loved how this came out.. Ofcourse... 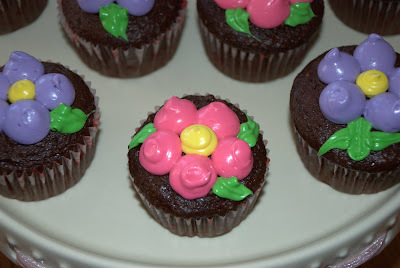 Pink and brown.. Now that her birthday is coming up again.. I am trying to figure out what kind of cake to make her! !